Some types of beer should be enjoyed immediately while others are better when aged and cellared; it all comes down to alcohol and acidity. 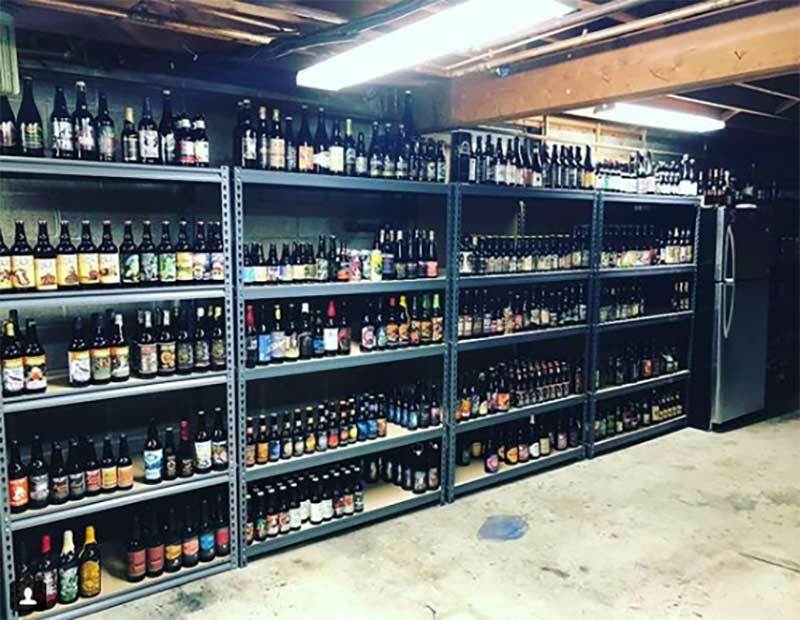 Which beers store well and should be cellared? 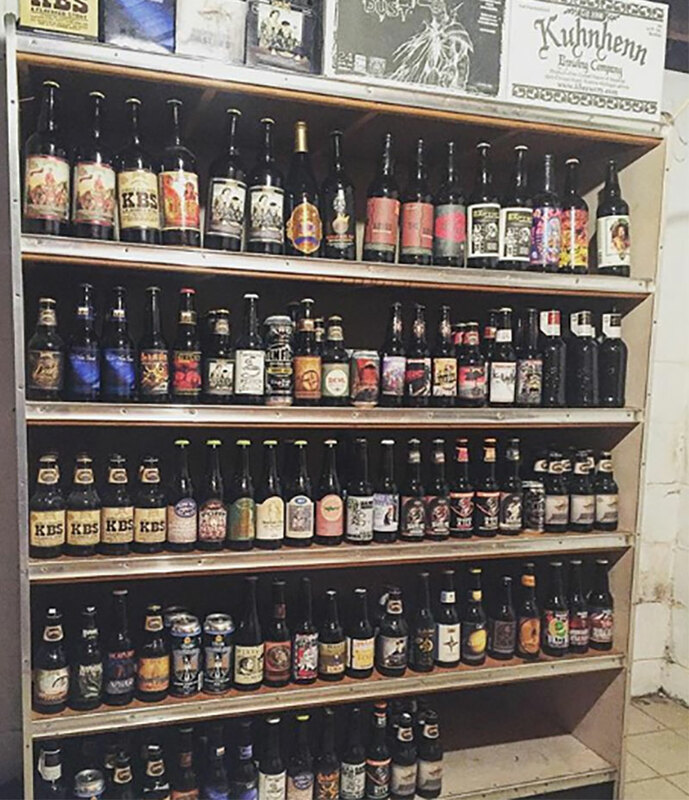 Beers that cellar and age well include strong ales (above 7.5% alcohol). 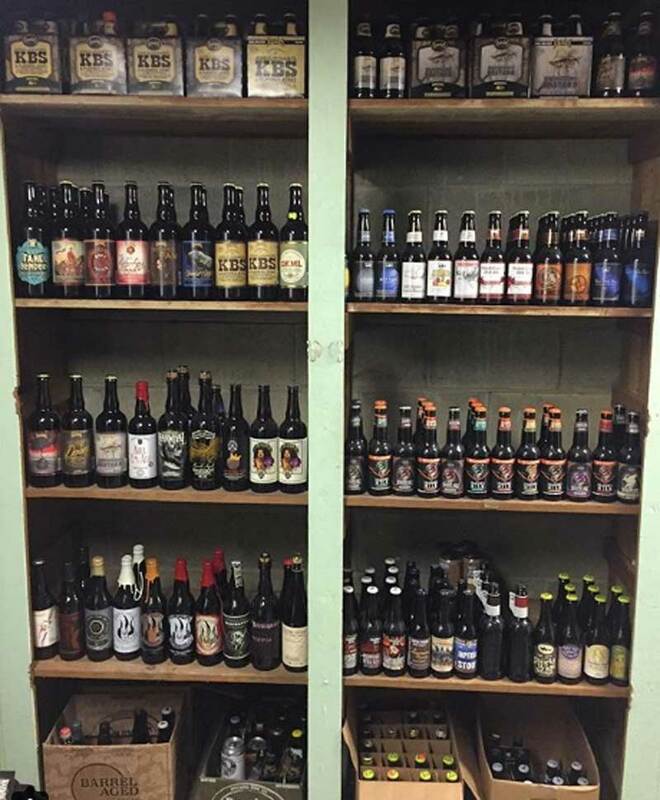 You’ll find most beers below that threshold go down with age; this includes most lagers. There are exceptions to the strong ale “rule.” Many sour beers will improve with age as the process of oxidation actually compliments the beer’s flavour; these beer styles are under 7.5 percent in alcohol but because of their high acidity, the flavours improve and mellow over time. 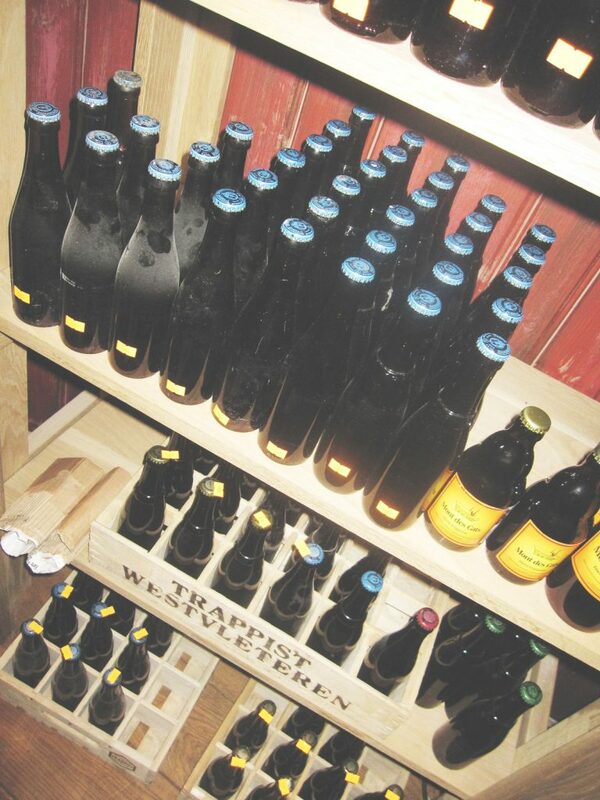 Sour beers that cellar well include lambic beers, gueuze, Flemish red ales and sour browns. How long should you cellar a sour beer? That’s a complicated question; it comes down to your preference, and a few variables about how your beer has been created and bottled. 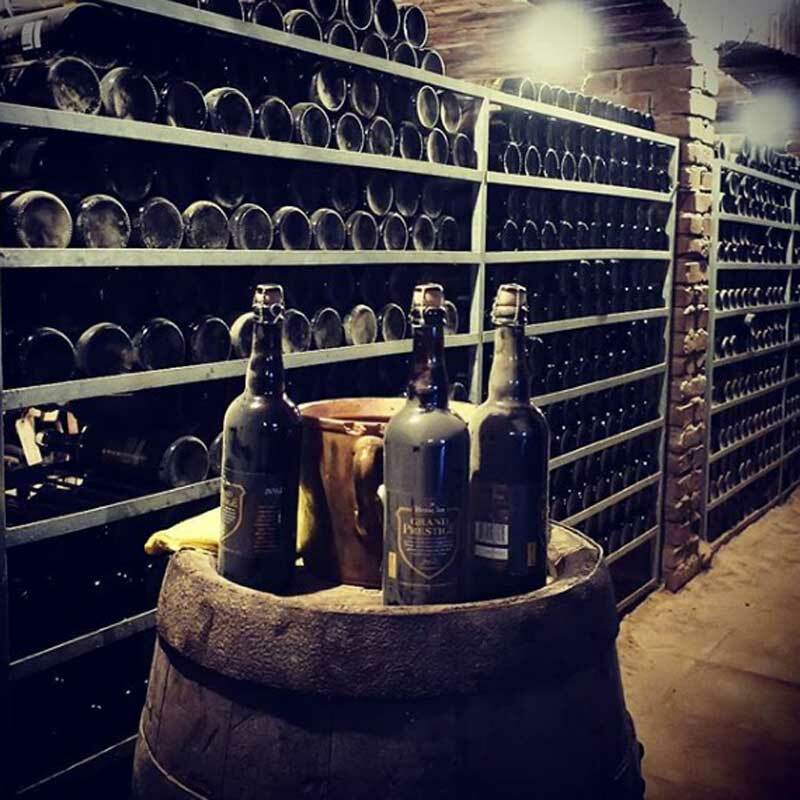 The average tends to be between two and ten years; however, some beers should only be cellared for 12 months, while others can go up to 30 years. 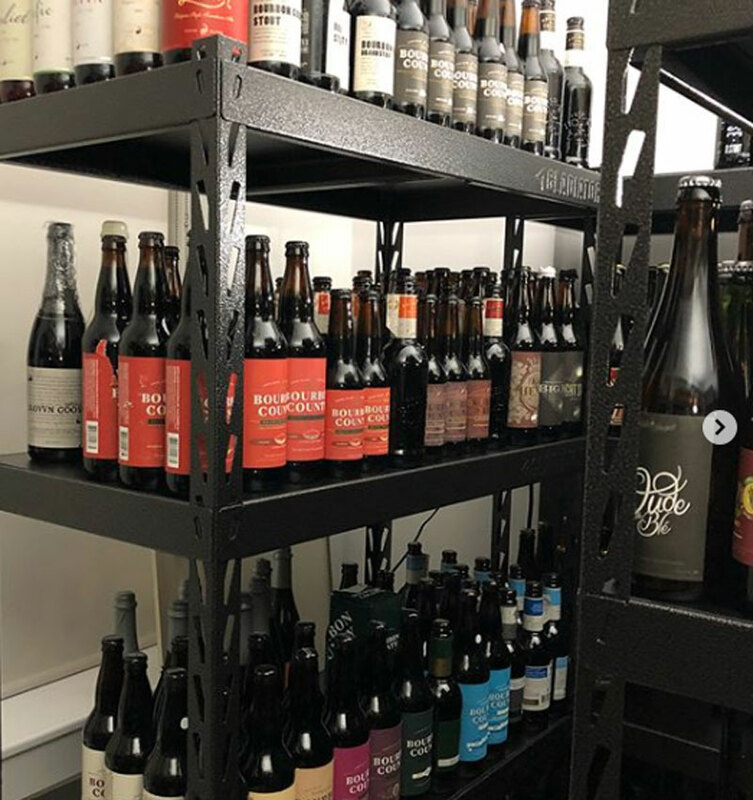 If you want more information on this topic, head over to the Rare Barrel and check out their post on how long you should cellar sour beer. Beers that have been made with fresh fruit and hops will have characteristics that deteriorate quickly in storage. Malt, unlike hops will evolve and you’ll find flavours of honey, toffee, wine, raisin and nut after storing. Of course as already noted, sour beers will become less aggressive and the undertone flavours will become more bold when not being overpowered by the acidity. 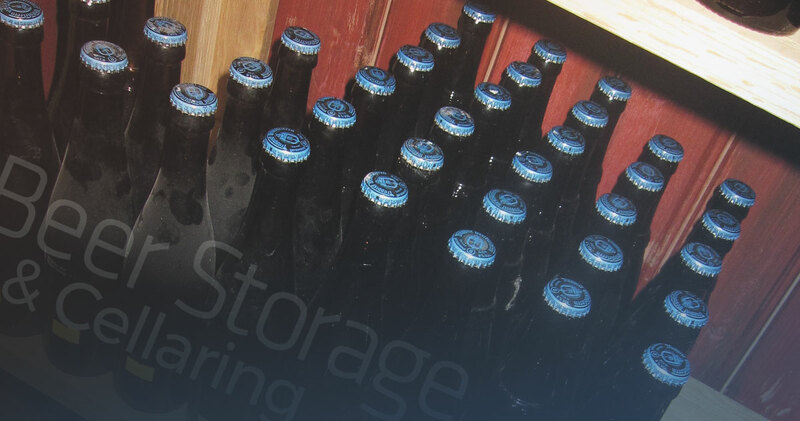 When storing beer you want to keep it in a dark, cool (10-18C / 50-65F), relatively dry environment. Make sure your bottles aren’t at risk of falling off the shelf or rolling around; if you live in an area that get earthquakes, take special consideration when ensuring your bottles are stabilized. 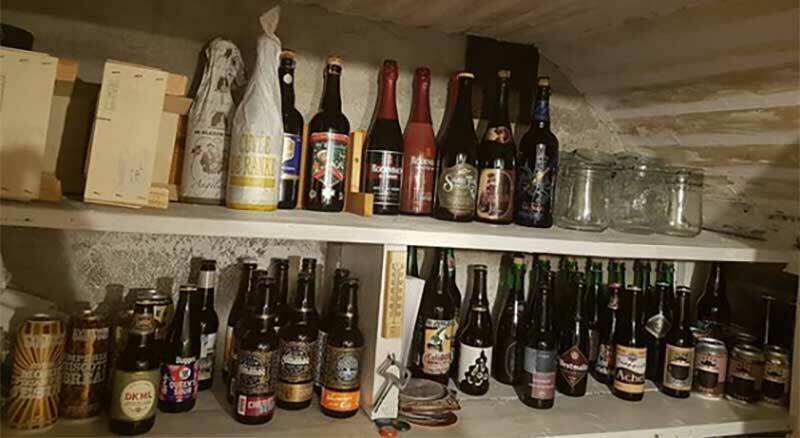 Temperature swings (too hot or too cold) can damage the integrity of your beer flavours, so be careful not to keep them in an area that will get warm during the hottest days of summer, or freeze during the dead of winter. In other words, keep your cellar temperature steady. Overly cool temps will halt the aging process entirely (not great if you’re trying to evoke those aged flavours), while heat accelerates oxidation, or staleness. Sun light (and bright light in general) can change your beer’s flavour. 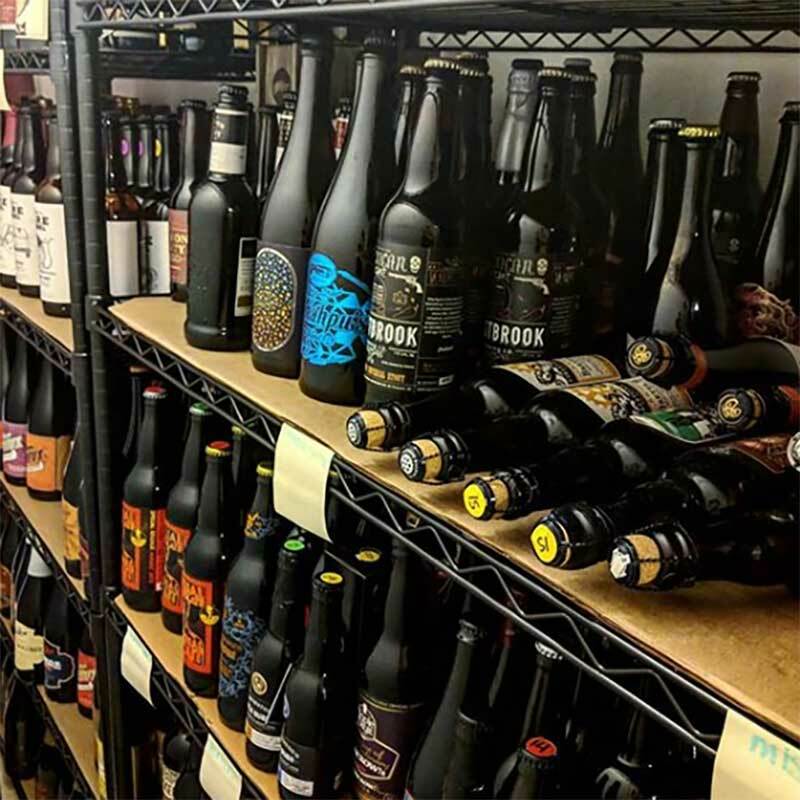 Generally bottles are dark for this very reason; however, beer that isn’t stored properly, that sits in light, will get compounds that are similar to skunk-spray (mmmhmmm, that skunky corona isn’t ideal – you can read more about skunked beer here). 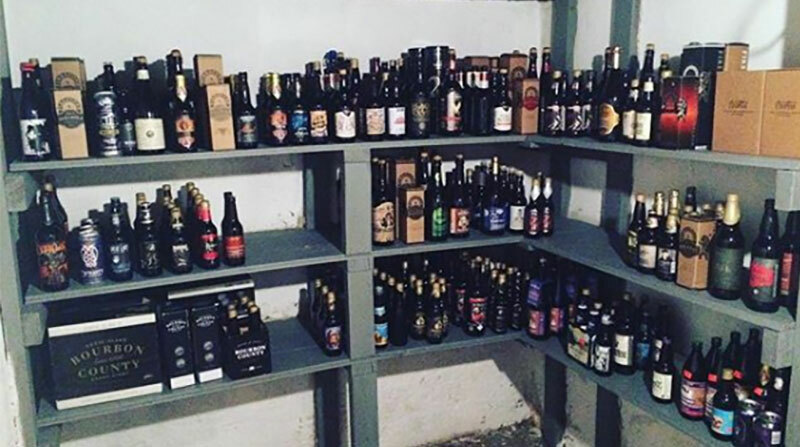 Generally speaking beer bottles should be stored upright. Some say laying bottles on their side helps hydrate the cork; however, the humidity inside the bottle is nearly 100% and that will help keep the cork moist while preventing direct contact with certain types of cork which can produce off-flavours. Many beers (especially those sour beers) get a layer of yeast sediment on the bottom of the bottle; you want to disturb that as little as possible to prevent a disruption of the beer and flavours. Proper storage and cellaring starts with a good labeling and tracking process. A good system will make it easy find the perfect brew of your choosing. 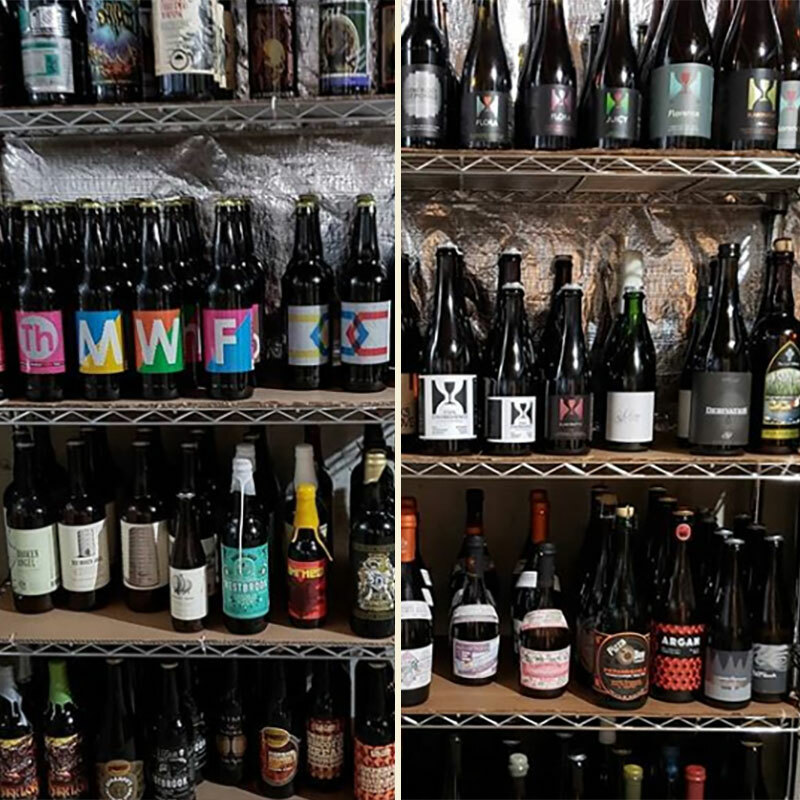 Some may opt for apps like JustBeer to aid in this process, others will rely on spreadsheets like Google Sheets or Excel, while others will follow a system of placing older bottles near the front and newer beers at the back. One of the biggest advantages to storing beer is being able to experience how a beer’s flavour evolves over time. 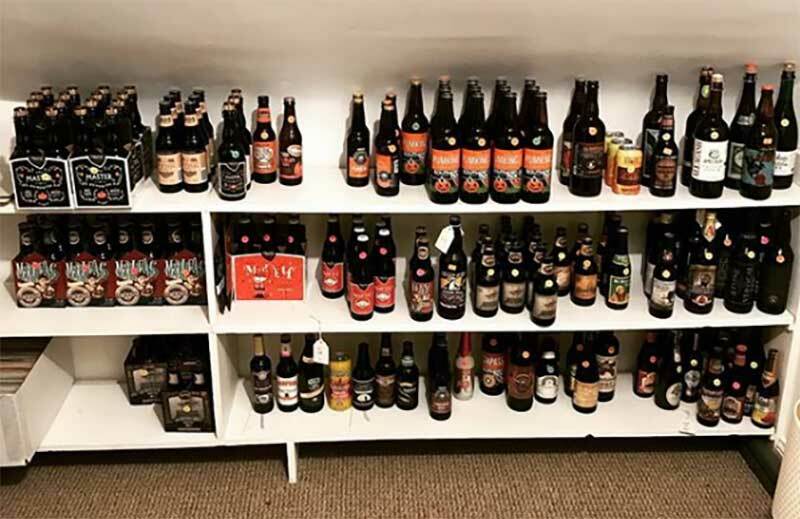 Diligent beer geeks (similar to wine enthusiasts) will often organize, track and record their collection and tastings. This gives them the opportunity to note how a beer changes over time, logging things like variances in flavour, body, aroma, and so on. If you’ve got spare change, try to keep extra bottles of a beer – then you can sample them every few months and not only note the changes in flavour, but also ensure you consume all bottles before it’s too late. If you get really into it, you can start collecting annual batches of your favourite brew; then you can do something called a, “vertical tasting”, which is a process of taking different years of the same beer and tasting them all at the same time in labelled glasses. You could try your favourite bottle from 2010, 2014, and 2018 for example and see how the beer has changed over time (or how the brewer may have changed their recipe over time). Flavourful beers (the type you covet rather than down at a football game) are meant to be savoured. 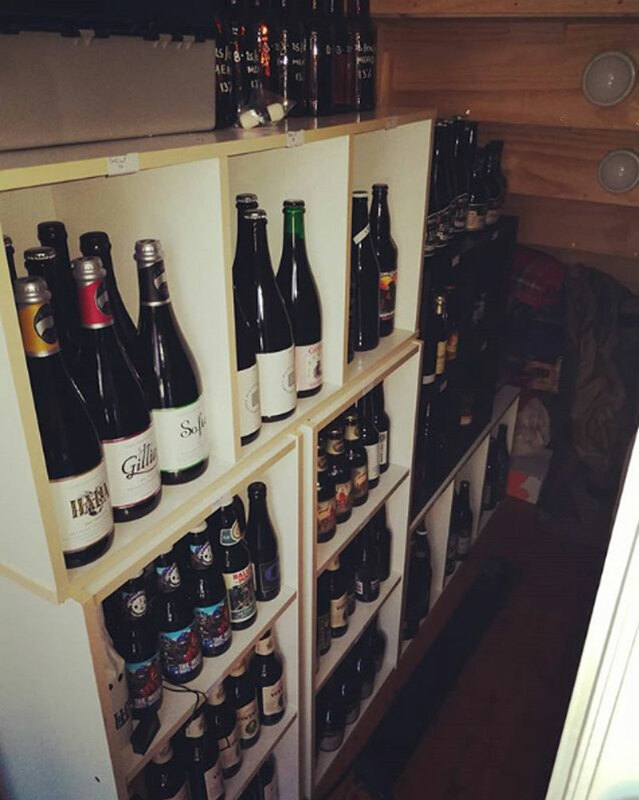 A cellar and smart beer storage practices can enhance your experience (and understanding) of quality beers. 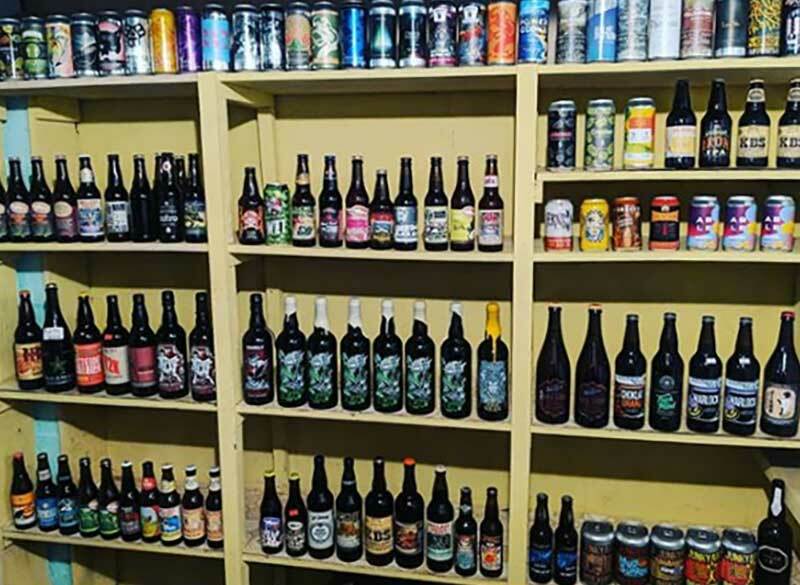 There’s always a time and a place for a crushable lager or pale ale, but for the truly passionate beer enthusiast, there’s a world of beyond the beers you can buy and drink right now. Maybe it’s time you give it a shot and see what you’re missing out on?